In the frigid days of February of 1870, Caroline Ingalls and her family leave the familiar comforts of the Big Woods of Wisconsin and the warm bosom of her family for a new life in Kansas’s Indian Territory. Packing what they can carry in their wagon, Caroline, her husband, Charles, and their little girls, Mary and Laura, head west to settle in a beautiful, unpredictable land full of promise and peril. The pioneer life is a hard one, especially for a pregnant woman with no friends or kin to turn to for comfort or help. The burden of work must be shouldered alone, sickness tended without the aid of doctors, and babies birthed without the accustomed hands of mothers or sisters. But Caroline’s new world is also full of tender joys. In adapting to this strange new place and transforming a rough log house built by Charles’s hands into a home, Caroline must draw on untapped wells of strength she does not know she possesses. For more than eighty years, generations of readers have been enchanted by the adventures of the American frontier’s most famous child, Laura Ingalls Wilder, in the Little House books. Now, that familiar story is retold in this captivating tale authorized by Little House Heritage Trust, that vividly reimagines our past. 1. Caroline presents the events of Laura Ingalls Wilder’s Little House on the Prairie from the perspective of Caroline Ingalls. How would the story be different told from the perspective of Charles? Of Mary? Of an Osage Indian living near the cabin? 2. Laura Ingalls Wilder’s “Little House” books, as well as other works of historical fiction, tend to sanitize and simplify the past. In Caroline, Sarah Miller partially addresses how dirty, dangerous, and desperate life on the frontier really was. What instances and events brought the grittiness of frontier life alive for you? What surprised you about the challenges Caroline faced throughout the novel? 3. What is your favorite moment in Laura Ingalls Wilder’s Little House on the Prairie? Does it correspond with your favorite moment in Caroline? 4. What aspects of Caroline Ingalls’s life do you find appealing? Repugnant or distressing? Which aspects of her life do you wish we haven’t “lost along the way” as technology, communication, etc. have advanced over the last 150 years? 5. Caroline Ingalls, the actual woman, has been romanticized and mythologized as the result of her daughter’s “Little House” novels, the long-running television series, and countless other adaptations of the “Little House” and pioneer woman myth. She is frequently characterized as submissive and subservient to her husband. How does Caroline maintain– or upset–this perspective? How does the Caroline Ingalls of this novel exert power or agency? 6. Given the choice, would Caroline have stayed in Wisconsin? Why or why not? What would you have chosen to do in her place? 7. Characterize Caroline’s perspective on the Osage. Is her view of Indians justified? Why or why not? 8. What aspect of the Ingallses’ journey and life in Kansas is most difficult for Caroline? How has seeing Caroline’s point of view changed or reinforced the way you envision the pioneer experience? 9. Does the Caroline Ingalls of this novel have a favorite child? Who? How would you characterize her relationship with each of her daughters? 10. What attracts Caroline to her husband? What faults, if any, does she see in him? Has the fictional Caroline’s view of her husband affected your own feelings toward “Pa” Ingalls? 11. Ma Ingalls of the “Little House” books often comes across as the embodiment of 19th century feminine virtue: gentle, composed, competent, and pious. By contrast, what faults does Sarah Miller’s version of Caroline Ingalls see in herself? Are they the same or different from what you perceive as Caroline’s weaknesses? Note: My usage of Ma, Caroline, and Mrs. Ingalls is not arbitrary. For clarity within my own mind, I established distinct definitions between the three as I researched and wrote this book. Ma: The matriarch of the fictional Ingalls family, invented by Laura Ingalls Wilder and modeled closely on her own mother. Mrs. Ingalls (also Caroline Ingalls): The actual living, breathing woman who was born in Brookfield, Wisconsin in 1839 and died in De Smet, South Dakota in 1924. Caroline: My own fictional hybrid of the two. Q: What was your relationship with the Little House novels prior to writing Caroline? A: One Christmas there was a set of Little House books under the tree — the yellow paperback one. I read them all, and played ‘Laura and Mary’ with my friends…and eventually sold the whole boxed set on a garage sale. (The irony’s pretty staggering, isn’t it?) So I was reasonably well versed in the fictional Ingalls family’s history, but my knowledge of their real life counterparts was limited. To some degree that was intentional. I can still remember the first time someone showed me a photo of the real Ingallses as a kid, in a terrific book by William Anderson called Laura’s Album. Pa and his whisk-broom beard horrified me. I probably didn’t know the word disillusioned then, but I knew I was not interested in feeling any more of that feeling, and so I did not accept the invitation to browse that book any further. A: I like to blame all this on Cherry Jones — she performed the Little House audiobooks, which hit the market while I was working at a children’s bookstore. The owner of the shop tried one out and came back raving about how great it was, so I tried one. And the next…and the next… As I listened, I began to hear more than what I’d read on the pages as a child. The way Cherry Jones voiced Ma’s words, her tone and inflection — as well as my own adult perspective — made me realize how much Laura Ingalls Wilder had left unsaid, especially where her mother was concerned. There’s a moment in Little House on Prairie when Pa is a day late returning from a trip to town, 40 miles away. Laura wakes in the night to find Ma sitting in her rocking chair with Pa’s pistol in her lap, keeping vigil for his return. I can still tell you the intersection where I was sitting when I heard that scene and realized for the first time that for all her outward calm, Ma is barely holding it together. That woman was my age, I realized, and not only that, it turns out the real Mrs. Ingalls was pregnant with her third child the year her husband decided to pull up stakes and settle the family in Kansas. Can you imagine? From then on, I couldn’t stop wondering what her life had really been like. Q: How did you prepare for writing the novel? What was your conventional (and unconventional) research? A: I read all of Laura Ingalls Wilder’s handwritten manuscripts, including her then-unpublished memoir, Pioneer Girl, and compared them with biographers’ research, learning where fact and fiction melded and diverged. I collected heaps of literary and social criticism of the Little House books, which made me aware of the many ways (both positive and negative) Wilder’s stories have embedded themselves in our collective consciousness and culture. I read histories of the Osage Nation by John Joseph Mathews, Louis Burns, Willard Rollings, and Garrick Bailey, as well the 1870 and 1871 annual reports of the Board of Indian Commissioners. I pored over the diaries of women who had traveled west by wagon in the 1800s. And then, because I’m what friends like to call a ‘method writer,’ I drove to Missouri, Kansas, South Dakota, Minnesota, Wisconsin, and Iowa, to see the sites of the Ingalls family’s lives, where they were born and where they were buried. I learned to crochet so I could replicate a piece of Mrs. Ingalls’s own lacework that I’d seen on display in Missouri, as well as a shawl I saw in South Dakota — both of which appear in Caroline. I made myself a calico dress. (I thought I could sew the whole thing by hand. I was wrong.) I bought — and wore! — a corset. I lent a hand in butchering livestock and wild game, rendered lard, fried salt pork, roasted a rabbit, and tasted head cheese. I haven’t yet made maple sugar, but I intend to. Q: What is your favorite fact about the Ingalls family you unearthed in your research? About pioneer life in general? In one of the books I read on Victorian-era housekeeping, I ran across a line that still tickles me every time I think of it. Basically, it defined a good husband as a man who would eat a cold dinner on washday without grumbling. Q: What was the most difficult detail to research or discover? A: This was almost too big to call a detail: packing the wagon. How many pounds of flour, salt pork, and cornmeal do you need to get a family of four from Wisconsin to Kansas? How much medicine? What kind of camping equipment? And toughest of all, how much did everything cost? For stocking the wagon, I relied on an 1864 emigrant guide by J.L. Campbell, as well as a list of provisions from the diary of a man named Charles Baker who also traveled overland in 1864. You’ve got to improvise, of course, readjusting for the shorter mileage and the fact that children don’t consume as much as grown men, but you can get a reasonable grasp of what’s required. As for prices, Ebay came to my rescue. My first thought was Montgomery Ward catalogs, but those don’t cover groceries, and their mail order catalog didn’t really catch on until 1875. When I discovered antique billheads, I was in research heaven. Search Ebay for “billhead 1870” and you’ll find actual receipts for barrels of flour, panes of glass, and even plows. The company’s name and address are printed on each one, and you can see for yourself the difference between “back East” prices and the cost of goods on the frontier. From those billheads I made an entire spreadsheet of supplies and what they cost, so I could track the Ingallses’ spending as they traveled. Q: If time travel were possible, would you live a life similar to that of Caroline Ingalls? A: If I were transported to Kansas in 1870 knowing everything I know about the modern world, I would become the world’s whiniest pioneer. The sheer physicality of their lives never lets up. Every single everyday task they did took more time and muscle than it does now. I can’t make a cup of tea anymore without thinking of Mrs. Ingalls. I don’t have to carry the water from a creek or a well, or chop kindling for the fire that will heat it. I turn a faucet and pop the mug in the microwave. Or if I’m going to do it the ‘hard way,’ I turn a knob to light the gas flame under the kettle. Of course I could adapt to life without all kinds of conveniences: the internet, television, probably even electricity. But the thought of getting two or three letters a year — learning someone was born or died months after it happened? That’s an entirely different kind of deprivation. I’m not at all convinced I’d adapt well to that. Q: Caroline is a blend between Little House on the Prairie, the novel, and historical fact. For instance, as far as historians know, Mr. Edwards is an invented character, but you chose to include him in the novel. The actual Ingalls family lived briefly in Missouri before settling in Indian Territory, but you’ve omitted that. Historically, Laura Ingalls Wilder was a toddler when she lived in Kansas, and you’ve chosen to present her as such. How did you determine which fact and which fiction to include in Caroline? The decision to cut the Missouri detour was purely practical. Virtually nothing is known about the Ingalls family’s tenure in Missouri—it’s not even clear whether they occupied that property, which was likely bought sight unseen from a land dealer in Kansas—and as I had no desire to invent several months out of whole cloth, I followed Laura Ingalls Wilder’s own lead and took the family straight from Wisconsin to Kansas. Overall, I left Wilder’s fiction intact where it did not create a false or harmful impression of reality. For instance, I’d bet money that the neighbor who attended Mrs. Ingalls’s delivery was a 44-year-old Kentucky woman named Mary Gilmore. But rather than confuse and likely irritate Little House fans by rechristening Mrs. Scott as Mrs. Gilmore, I grafted the handful of details I could glean from the Gilmore family’s census records onto the existing character of Mrs. Scott. That’s how her husband’s name becomes Robert, and why Mrs. Scott makes reference to having five children. 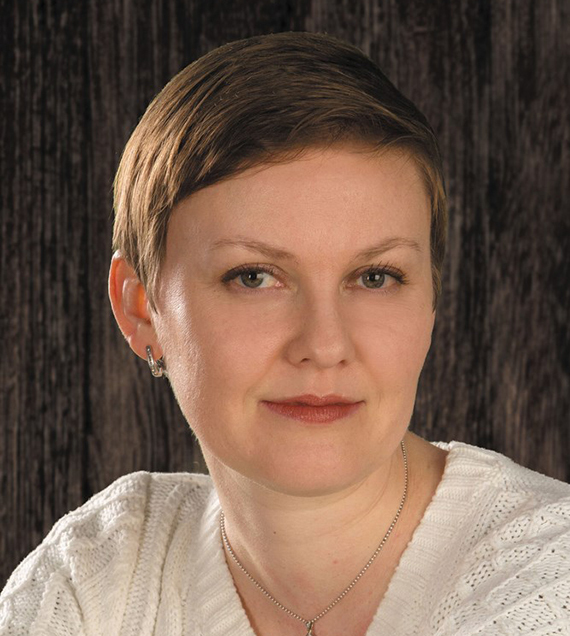 Q: What was the most challenging aspect of writing Caroline? Wondering what Mrs. Ingalls herself might think of all this. She was a very private woman. For instance, Laura herself appears never to have heard firsthand about the extent of the poverty her mother experienced as a child. As far as we know, Laura only heard those stories after her mother’s death, from her Aunt Martha. So to write about things like that — as well as childbirth and the intricacies of her relationship with her husband? Sometimes the thought of Mrs. Ingalls reading over my shoulder made me wince while I typed. 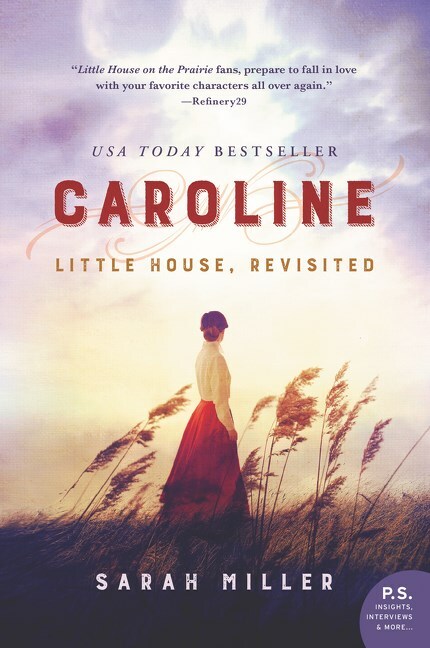 Q: The novel focuses on Caroline’s experiences during what readers know as Little House on the Prairie. Why did you choose that period, versus another of Wilder’s novels? I’m not entirely sure how intentional that decision was. My initial research certainly wasn’t confined to the Kansas period alone. It may have been more a matter of pacing — once I got rolling it became clear that I wouldn’t have time or space to cover more than the Kansas year in a single novel. Consider: it takes me 161 pages to cover the same events that Laura Ingalls Wilder describes in the first 37 pages of Little House on the Prairie. At the very least I can tell you why I started where I did. This period is actually the beginning of the story. Wilder set her first book, Little House in the Big Woods, in about 1873, without anticipating that a series or even a sequel would follow. When fans demanded more, she performed a sleight of hand by doubling back into her family’s history, to approximately 1870, when the Ingallses occupied several acres of land in the Osage Diminished Reserve. The result was Little House on the Prairie. Conveniently for me, this segment of Ingalls history is also familiar to almost anyone with even a cursory knowledge of Little House. At the same time, it’s a moment where someone who’s not at all familiar with Little House can enter Caroline’s life without needing heaps of context and backstory. Q: Has the experience of writing Caroline changed your perspective on Laura Ingalls Wilder or Caroline Ingalls? How so? Definitely. Ma is not the funnest character in the Little House books. She loses to Pa by a longshot — no fiddle, no jolly nicknames, no twinkling blue eyes. To a modern reader Ma also appears frustratingly passive — “Whatever you think is best, Charles” — and often as something of a killjoy — “Moderate your voice, Laura.” But the closer you look, and the more you learn about the realities of the Ingalls family’s history, the more you begin to realize that Caroline Ingalls was the glue that held that family together. Laura Ingalls Wilder herself admitted that her father was “no businessman,” as well as “inclined to be reckless.” When Charles’s schemes for a better life further on failed, Caroline Ingalls took up the slack. One critic noted that “the Little House books breathe serenity. Their distinguishing characteristic is that they tell of great adventure and hardship with great peace.” Ma is the embodiment of that serenity. Even Pa relies on it. “Caroline,” he says in the depths of The Long Winter, “you are a wonder.” Her ability to make do with almost nothing dazzles the family throughout that novel. And all the while, in spite of her constant deference to her husband’s urge to travel, she made sure her daughters were as educated and as self-supporting as their individual circumstances allowed. Mary went to college for the blind (spoiler? sorry!) where she learned to make beadwork, lace, hammocks, and fly nets. The other Ingalls sisters made their way in the world as journalists and schoolteachers before marrying, at a time when marriage was still considered a woman’s primary vocation. I find it intriguing that in spite of her own strict compliance with the manners and expectations of the day, Mrs. Ingalls somehow cultivated a strong streak of independence in each of her daughters — which fully blooms in her trail-blazing granddaughter, Rose Wilder Lane. While my opinion of Caroline Ingalls rose, I have to admit my feelings toward Laura Ingalls Wilder have suffered. Wilder has such a reputation for telling you how things really were, but the fact is there’s an awful lot she glosses over. There are simple, almost petty things, like the utter absence of chamber pots and outhouses. Nobody so much as changes a diaper in a Little House novel. And there are much more substantial omissions, such as the fact that Mary’s college tuition was paid by the state, not the Ingalls family. This might be an unfair criticism for a children’s book, but I wish Wilder had been more forthcoming about some of the setbacks her family weathered, and that she’d chosen to acknowledge the many kinds of support that came from sources outside their own walls rather than creating a false sense of isolation and self-sufficiency. To my mind the Little House books are equal parts reality and frontier fairy tale, and it makes me a bit uneasy that we’re not more honest with ourselves about the mythology. Q: What has given Laura Ingalls Wilder such staying power with readers? Why does she continue to fascinate? Another thing Wilder does very effectively — some will argue too effectively — is exemplify our national character. The fictional Ingalls family is a monument to honesty, hard work, and independence. She makes us feel good about who we are, and what America stands for. As Maria Russo of the New York Times noted at the 150th anniversary of Laura Ingalls Wilder’s birth, it doesn’t matter whether you lean red or blue — some aspect of Little House will validate your core beliefs. Q: What is your favorite line/scene/novel from the Little House novels? My favorite scene is probably the sugaring off dance in Little House in the Big Woods. The food, the dresses — the jigging contest between Uncle George and Grandma! And also that tiny glimpse of Ma abandoning herself to the pleasure of dancing. For just an instant even five-year old Laura seems to grasp that there’s more to her mother than she’s seen before. Big Woods is also my favorite of Laura Ingalls Wilder’s books, though I always follow that up by saying that objectively, I think On the Banks of Plum Creek is her best. My favorite line might be in The Long Winter. Pa’s musing about braving the blizzards to go after the rumored seed wheat that might save the town from starving, and Ma puts her foot down. The force of her anger stuns the whole family: “She was quiet, but she was terrible.” It’s another of those rare moments when you get a peek into what’s simmering behind Ma’s otherwise placid facade. Q: Any hopes for a sequel to Caroline? What are your other projects? I won’t pretend the thought hasn’t crossed my mind. Right now, though, I’m working on a nonfiction account of the Dionne quintuplets. Yvonne, Annette, Cécile, Émilie, and Marie Dionne were born in May of 1934 in a farmhouse in northern Ontario. As the world’s first surviving set of quintuplets, they were an overnight media sensation. When the children were ten months old the government seized custody of them, ostensibly to protect them from exploitation…and then built a zoo-like observatory where tourists could watch the five identical sisters at play twice a day. And that’s just the first half of the story.